We are on an extended sabbatical and cruising vacation. 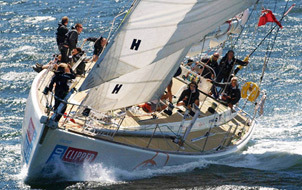 During our absence, we will be forwarding all inquiries about custom built sails to Hyde International. An international brand, Hyde Sails is one of the largest and most respected sailmakers in the world. Backed by 50 years of experience, Hyde Sails has always been at the forefront of sail technology, design and production for everything from Optimists to cruisers to ocean racing yachts. Since the company was established in 1965, Hyde has been committed to delivering high-performance sails of impeccable quality with customer service to match. 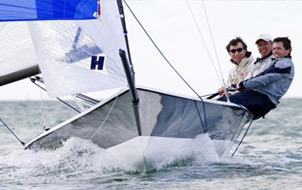 Whether you are racing or cruising—in dinghies or in yachts—Hyde Sails has the designers, technology, and experience to tackle any sailmaking challenge. The Hyde Sails production loft in the Philippines is well established, with a highly skilled workforce of over 280 staff, complemented by a trophy-winning design team. Our production managers and well-trained technical staff work in one of the most modern lofts in the world, using first quality, name-brand sailcloth tested in-house for strict compliance to technical specifications. At Hyde Sails Direct we deliver personalized service before, during and after the sale, whether you live 10 or 3,000 miles away. We'll help you choose the right sail for you, based on your sailing style, your boat, and your local conditions. We listen, explain the options, and help you choose exactly what you need. We guide you through the measuring process via email and phone and using digital pictures of your boat. We check your measurements carefully against our design data base to catch errors. If you have any difficulty, call us. We promise to answer your phone call. And our support doesn't end when you receive your sail—we remain available by phone to answer your questions and address your concerns. Our affiliated network of full-service local lofts will fix any problem under your warranty. It all boils down to our business model. 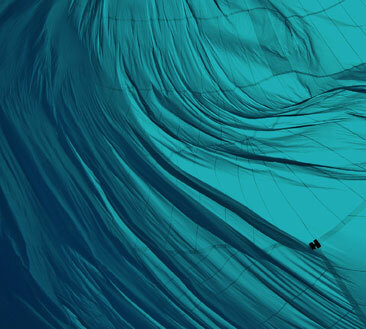 Hyde Sails Direct partners with Hyde Sails International, but we operate as a separate entity. Our mission is to deliver Hyde's renowned quality at internet prices. We don't have to pay sail consultants who measure your boat. Instead of a paid repair staff, we have a network of affiliated, full service U.S lofts. We don't have a design staff, office staff, or a shipping department. All of that is provided by Hyde Sails International. We don't pay rent for loft space on the waterfront, a huge savings. 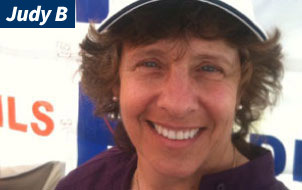 We advertise only via the Internet—no expensive booths at boat shows, no big ads in the glossy sailing magazines. Our unique situation allows us to be a sail loft within a sail loft, and the money saved is passed directly on to you. Hyde quality at competitive prices—and we give you our best price the first time.